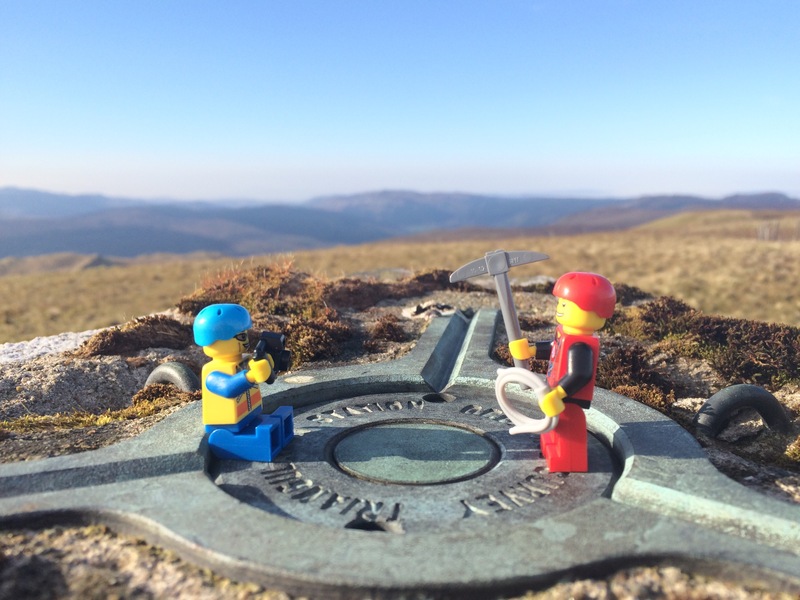 The quest to conquer further trig points continues. 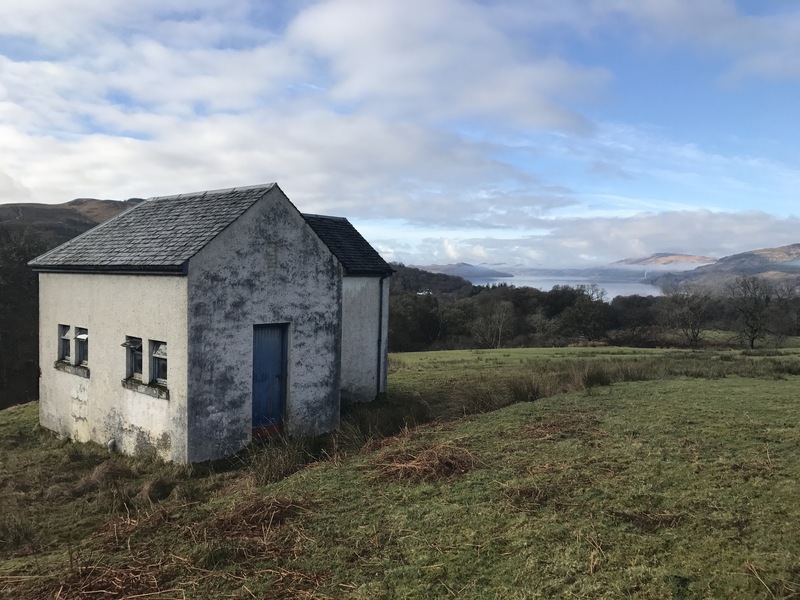 A new area to explore within Strachur. 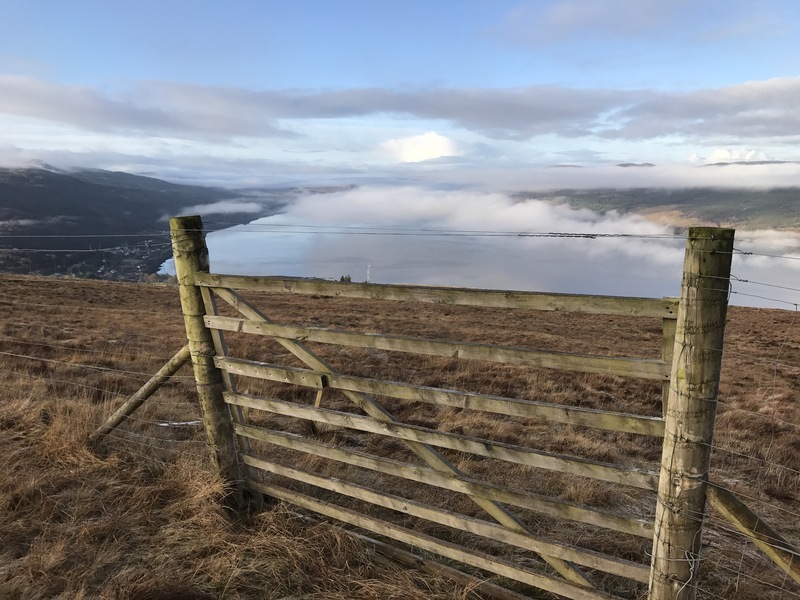 Creagan an Eich, whilst not a giant at 326mts gives fantastic views over Strachur and Loch Fyne. Another small hill with big views. 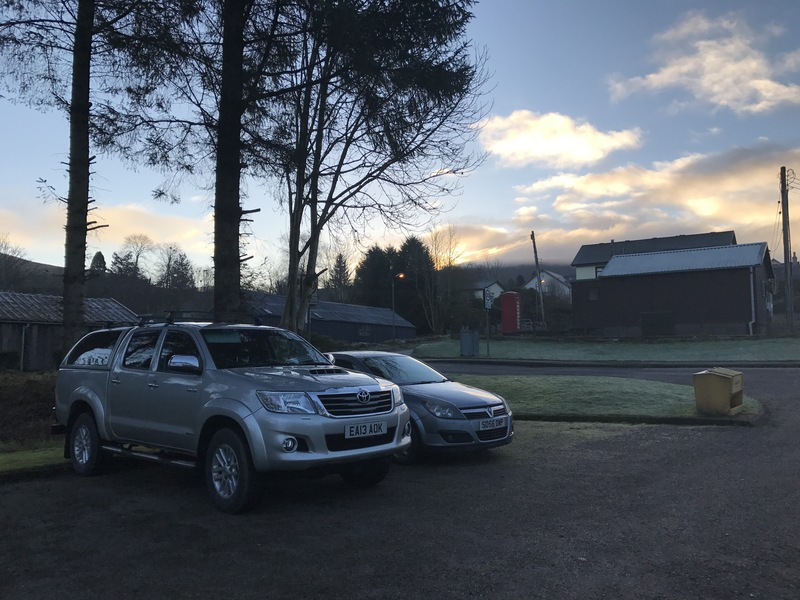 Parking available at Clachan Beag housing and crossing the road taking Mill Road next to Fergusons yard starts the journey. 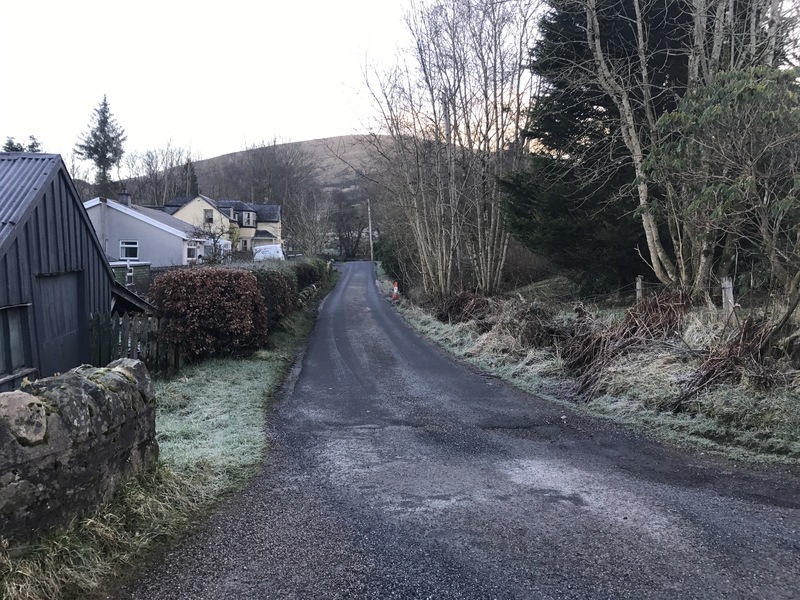 Mill road soon terminates joining a private road to the left that crosses the burn and continues through a gate. Once through the gate, a left turn is required. 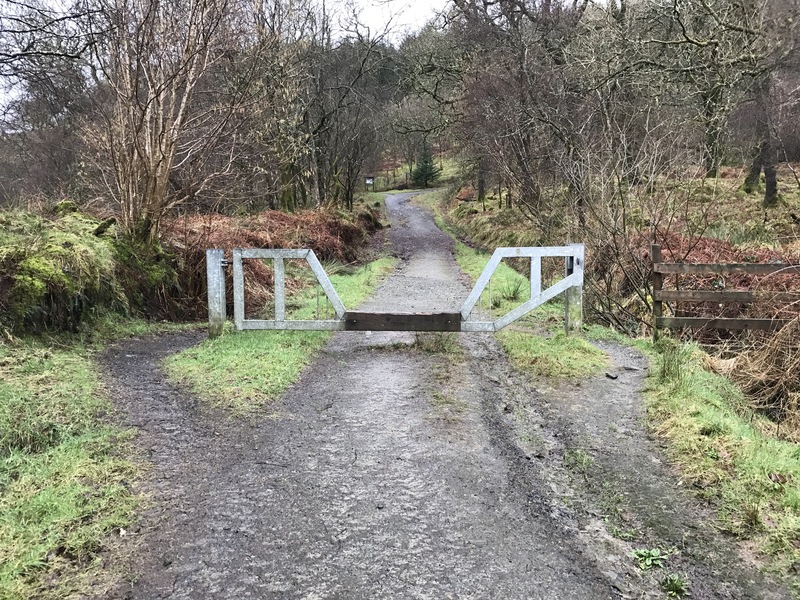 A deer gate further ahead with a kissing gate provides further access and the use of the road to the communication masts. 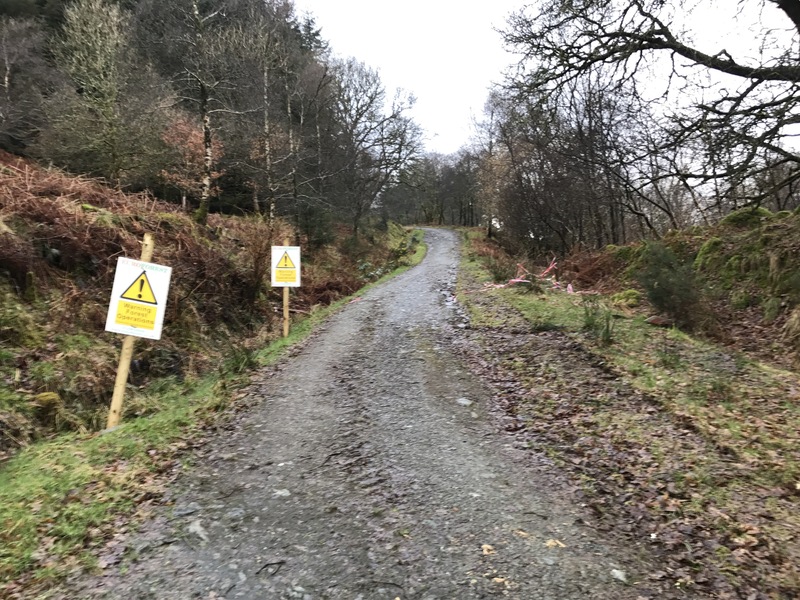 A warning sign highlights the use of high volocity rifles!!! 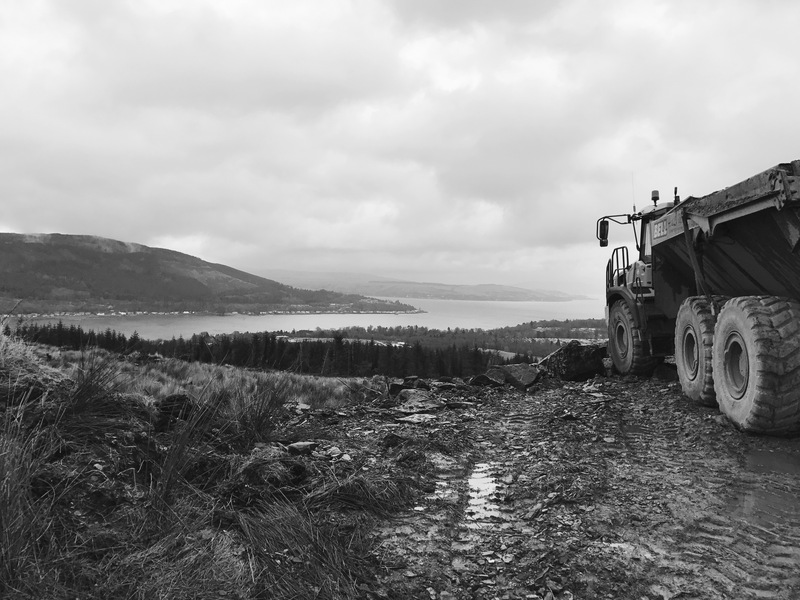 Looking back, views over Strachur and onward to Loch Fyne are to be had. Once the masts have been reached the remaining 0.7 miles are on open hillside. 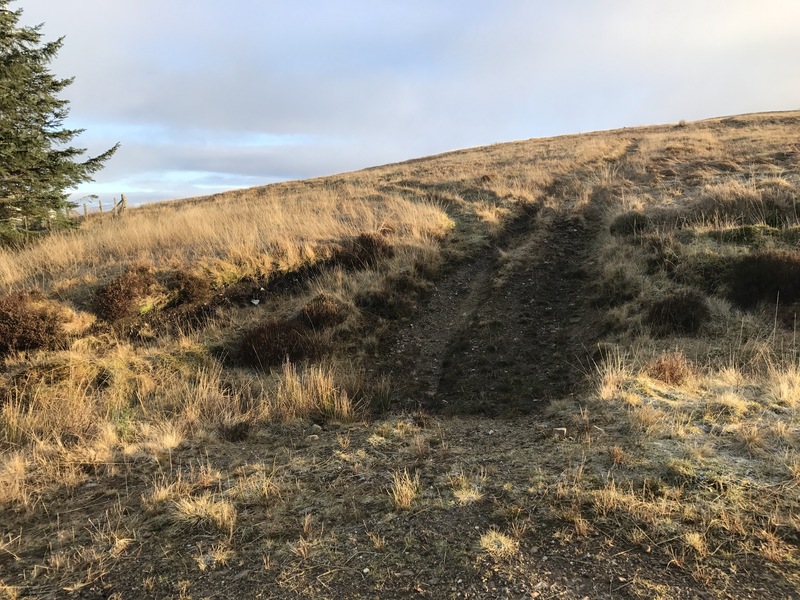 An ATV track gives enough guidance to the summit marked by a trig point via another deer gate. The views get better with elevation. 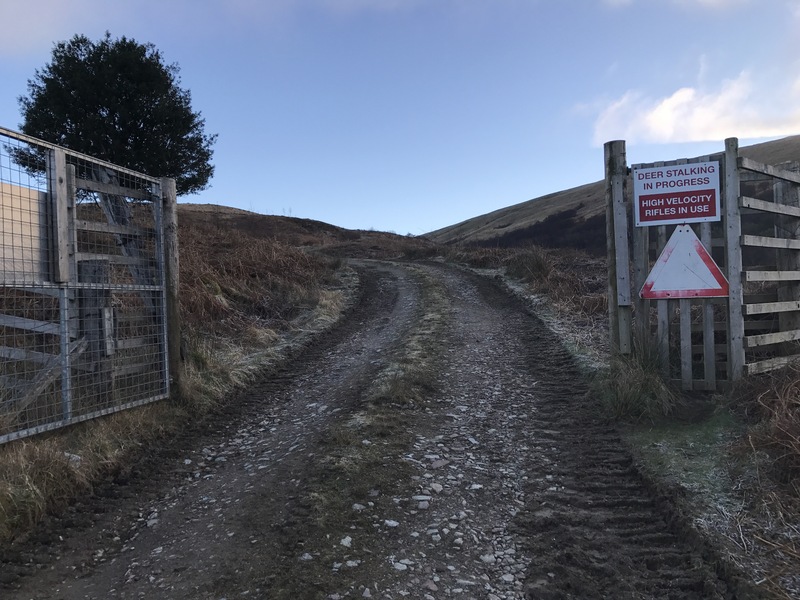 Open hill to deer gate. Once through the gate (approx. 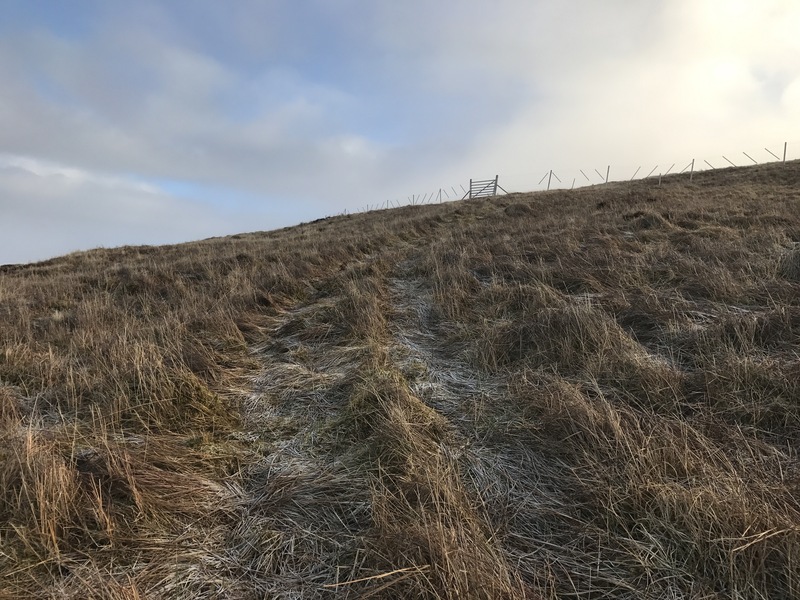 2/3 of the open hill section) the ATV track is still evident and pretty much leads to the trig point. 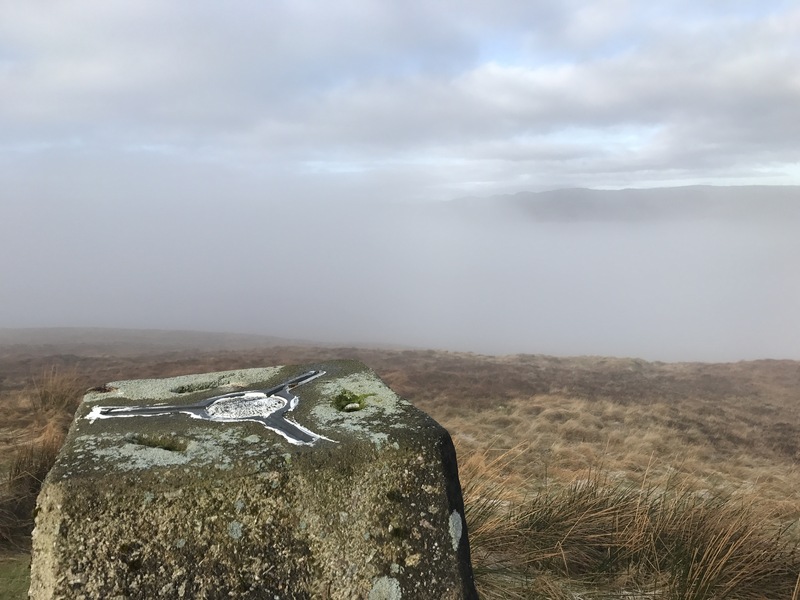 Unfortunately the mist was still present despite the sun trying to burn its way through, so no views from trig point ..this time! 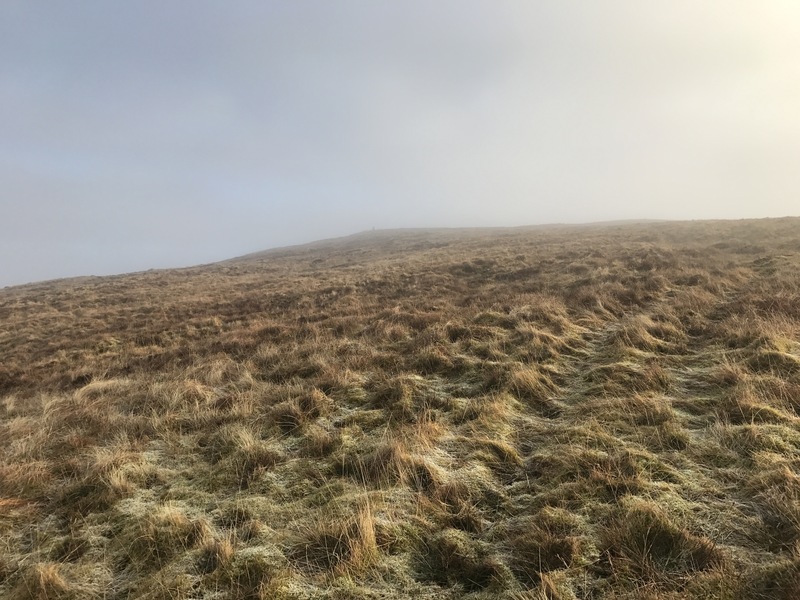 Return was made via the ascent route after a 30 min stand off with the mist – it won. 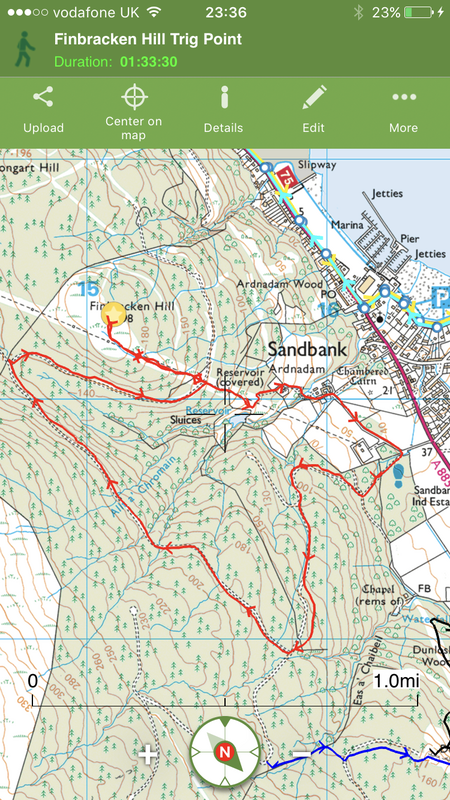 Certainly a hill to revisit, perhaps with the tent! 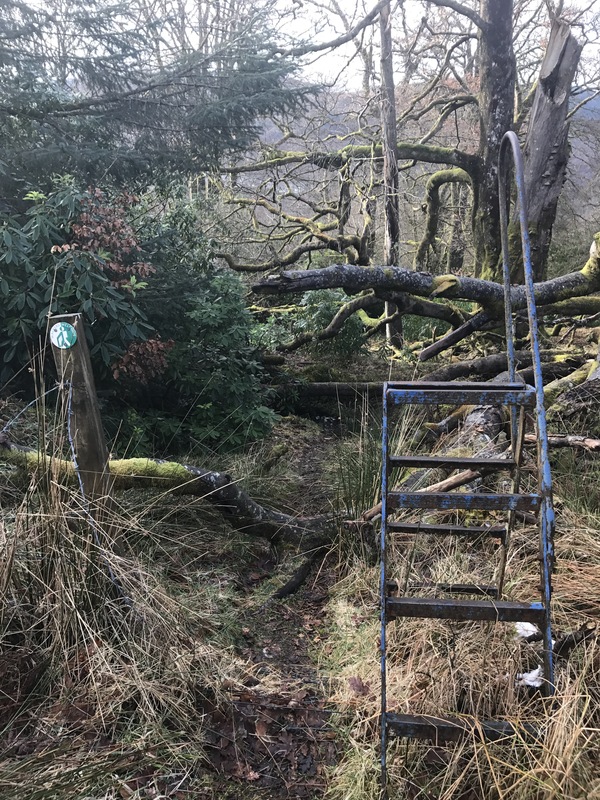 On a separate note, a walk through the woods to be explored and an ideal bothy project! 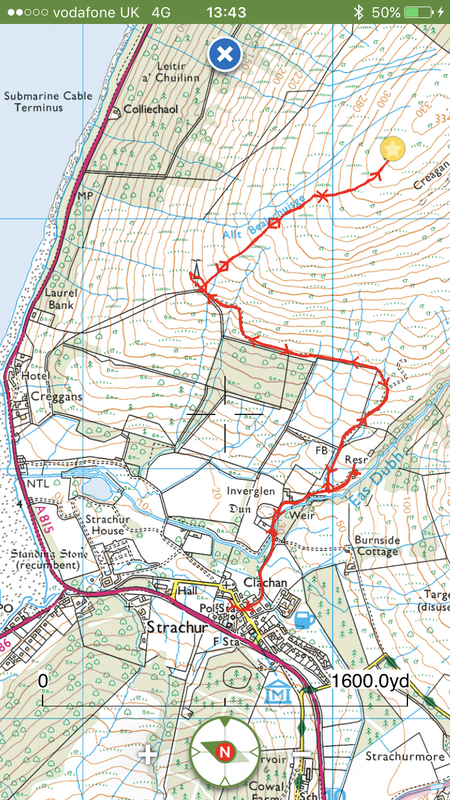 New territory covered on today’s quest to visit a local trig point. 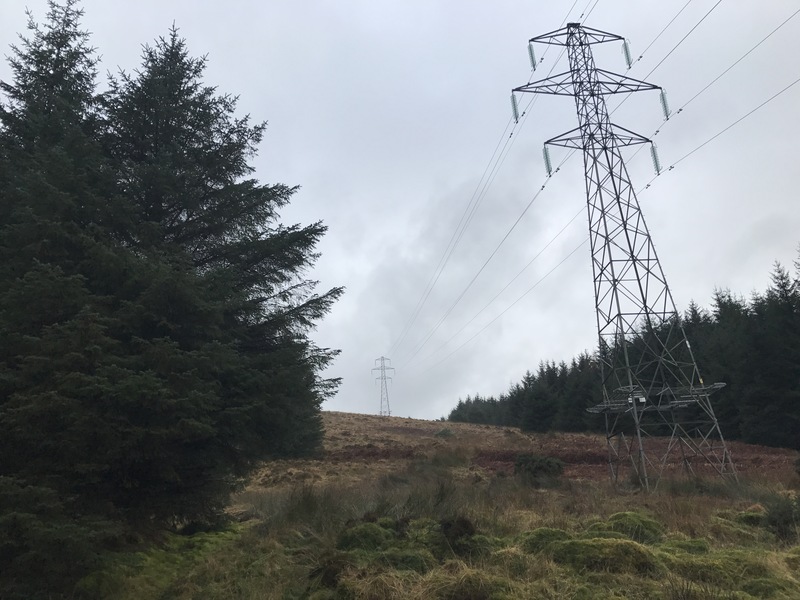 Ardnadam Hill, a summit that goes unnoticed, only highlighted by the electricity pylons that flank its south west elevation before disappearing. 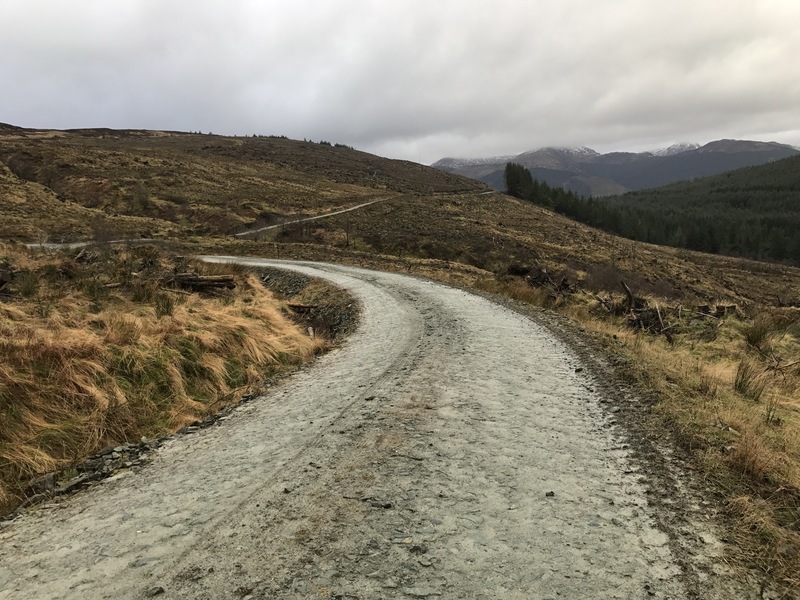 Starting off from the car park at Ardnadam, past the horse friendly gate the forestry road climbs as joins a freshly built forestry road, detouring from the original road that has been stopped up. 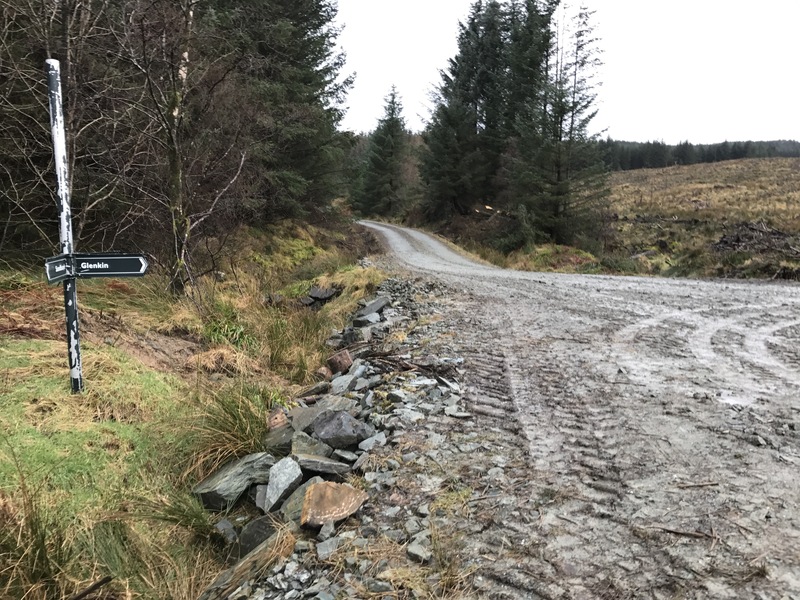 The old finger post signs still in place (albeit lower) showing the way to Glenkin, the next stage of the route. 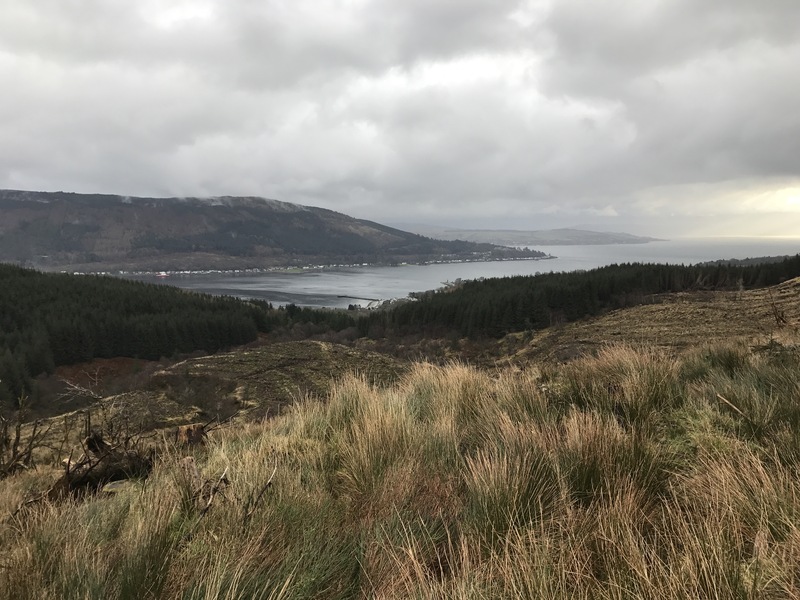 A meandering road leads to a junction with the lookout post, views over the Holy Loch and beyond are to be had from here. The Moxy dumper still on site. Turn right at the stalkers elevated hide. 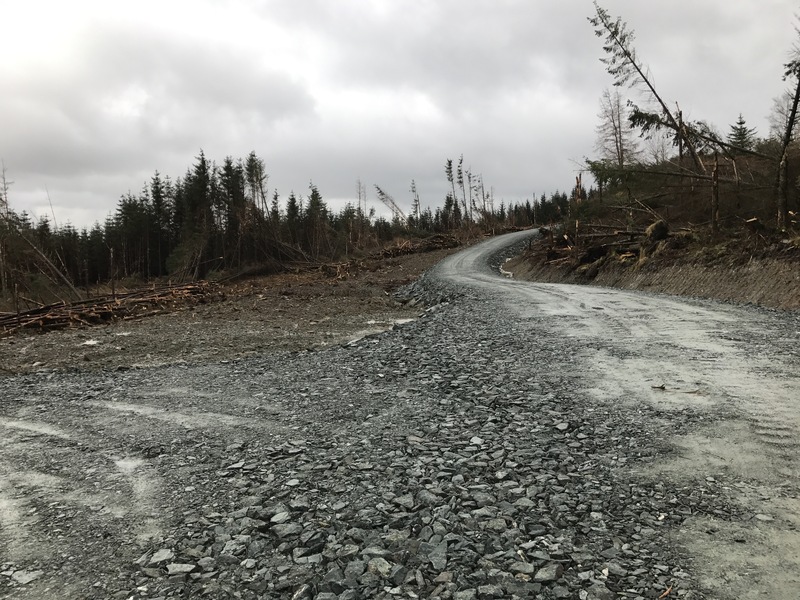 After turning right the forestry road contours round the base of the hill, the power cables running between the pylons are soon overhead. 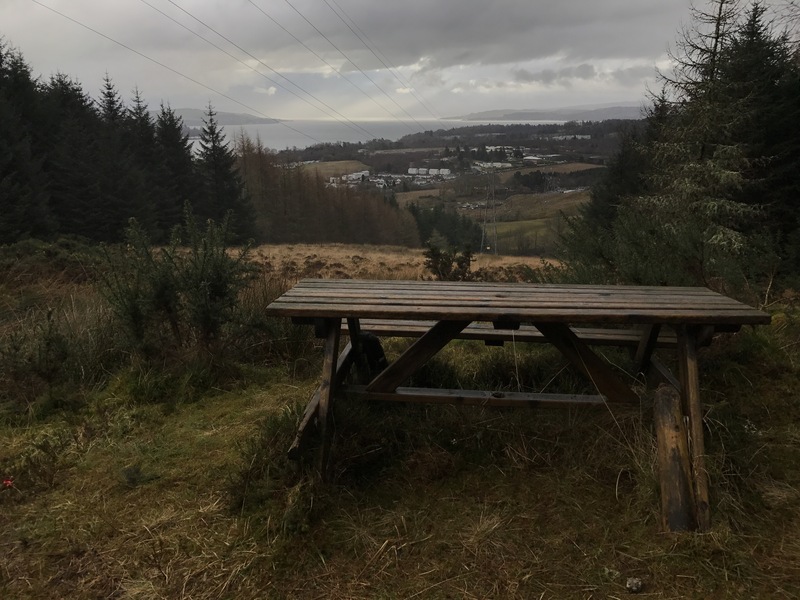 Remarkably there is a bench with views and a marker post obscured by a solitary tree. From here it’s a climb on open hill to the third pylon. 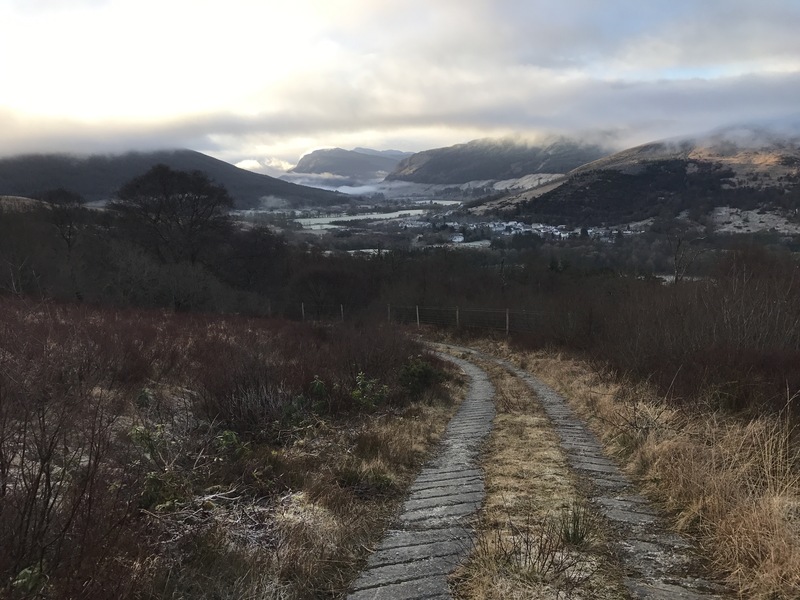 Looking back down the Loch. The trig point is located over to the right of the third pylon, lower and offset from the true summit. 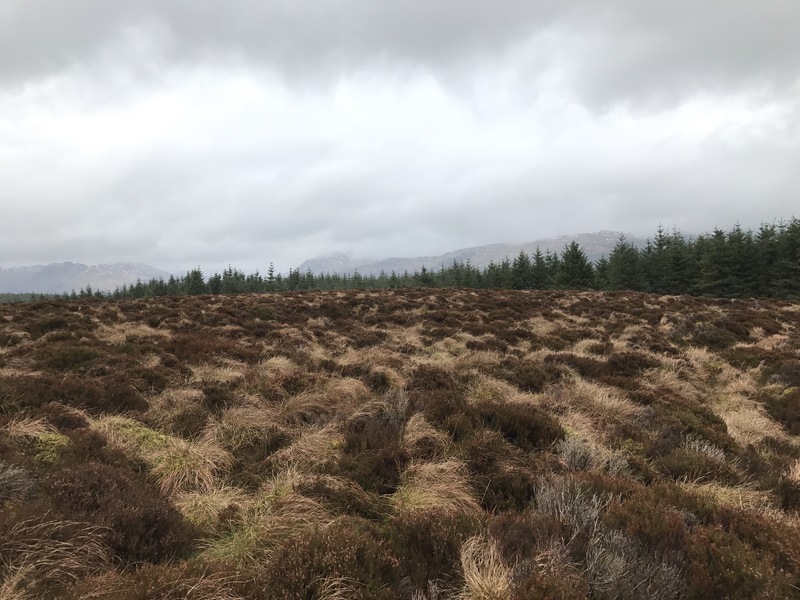 Initially the square top is just visible over the heathery tussocks. Eventually finding the trig in all its glory, with views to the north. Return can be the reverse of the outward bound route. 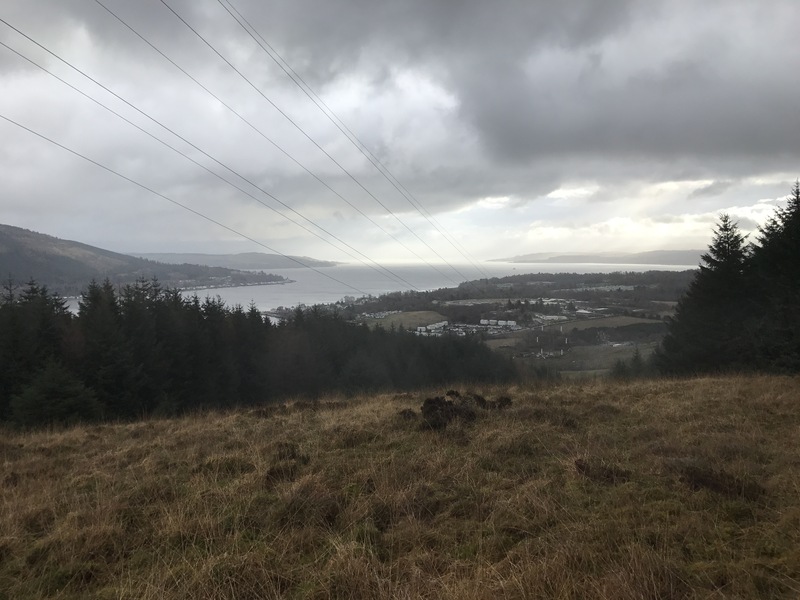 Due to the change in weather and time constraints I decided to return via Ardnadam Farm by crossing the road and dropping down to the lower pylon then turning left picking up a track highlighted by a few old fence posts. The road passes Scottish Waters holding tanks before passing the farmhouses. The road returns to the car park access road. 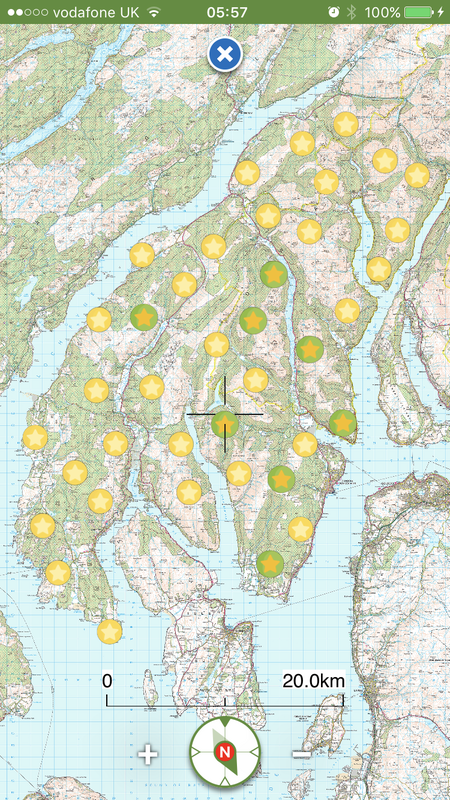 Interactive map with photos and stats HERE. 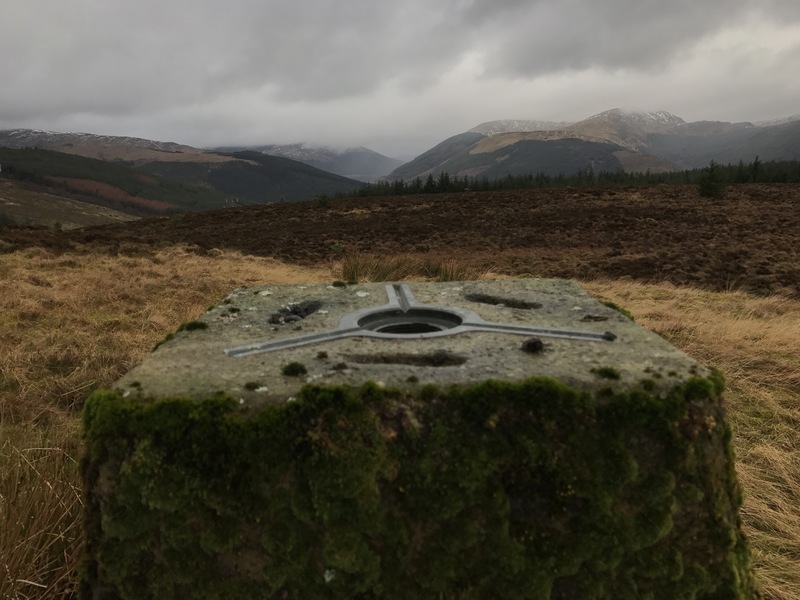 Buachailean Trig,Toward. 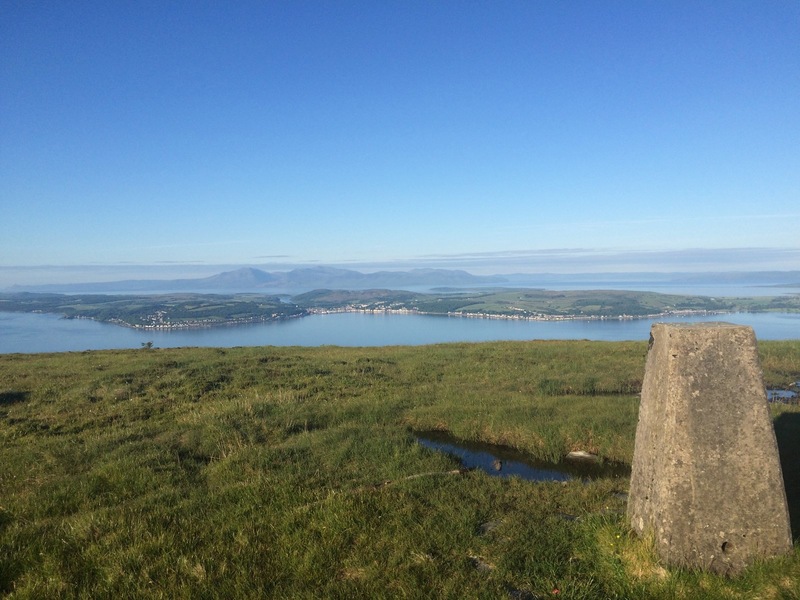 Overlooking Bute towards Arran. 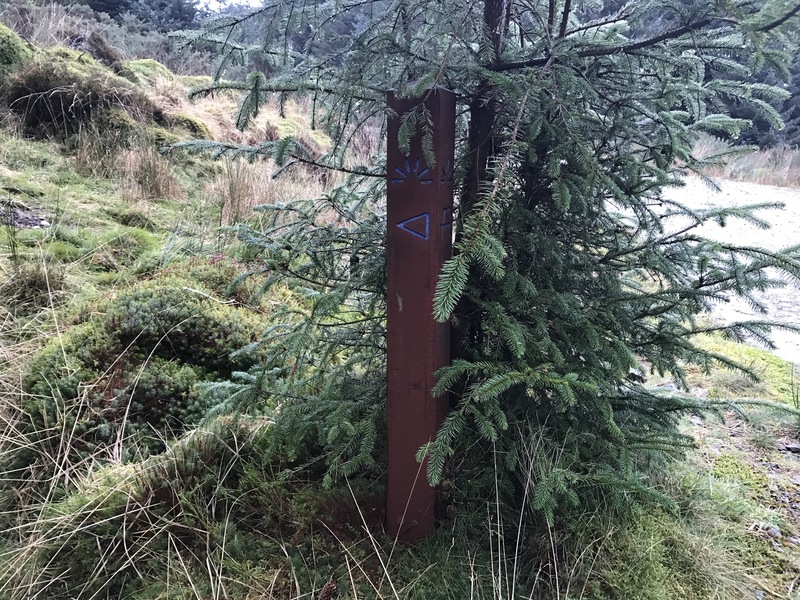 Trigpoints are the common name for “triangulation pillars”. 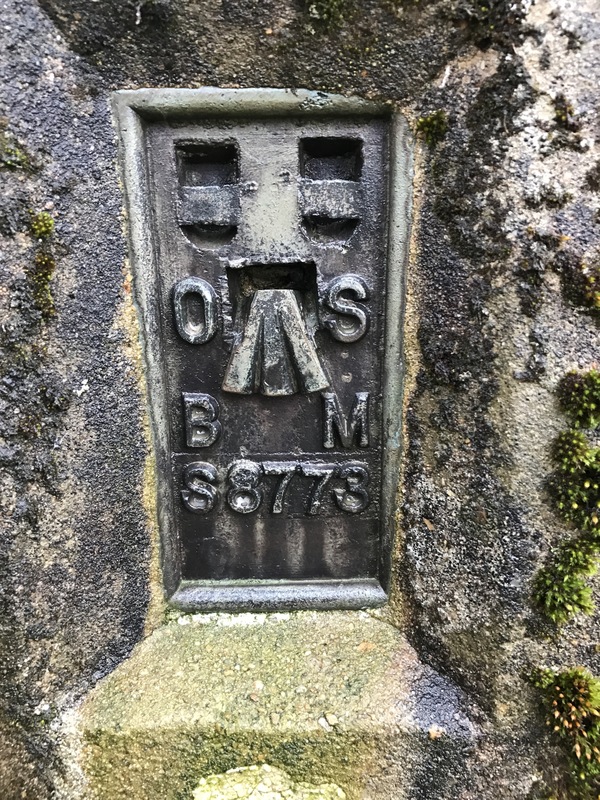 These are concrete pillars, about 4′ tall, which were used by the Ordnance Survey in order to determine the exact shape of the country. 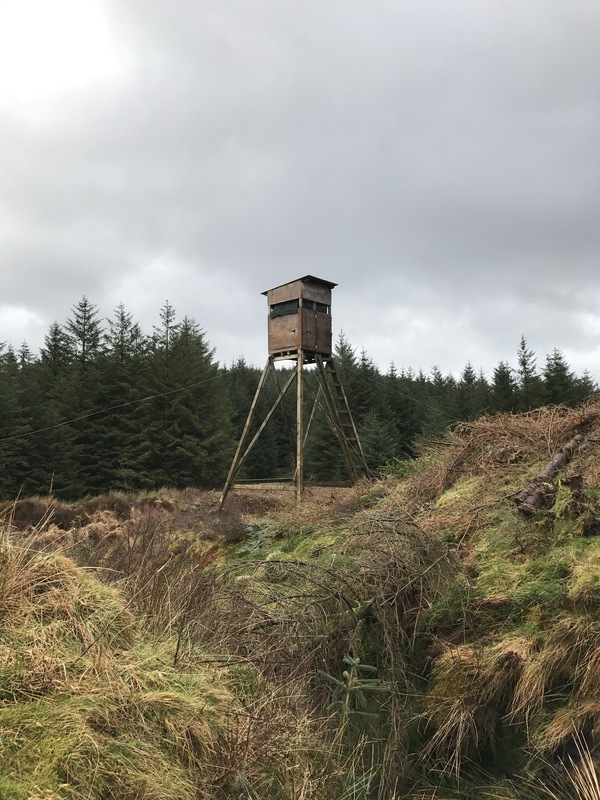 They are generally located on the highest bit of ground in the area, so that there is a direct line of sight from one to the next. 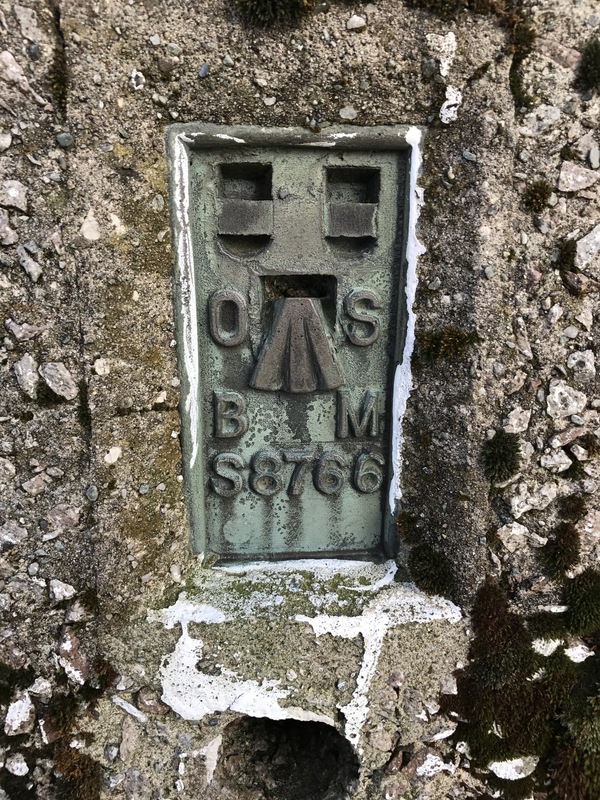 By sitting a theodolite (an accurate protractor built into a telescope) on the top of the pillar, accurate angles between pairs of nearby trigpoints could be measured. This process is called “triangulation”. 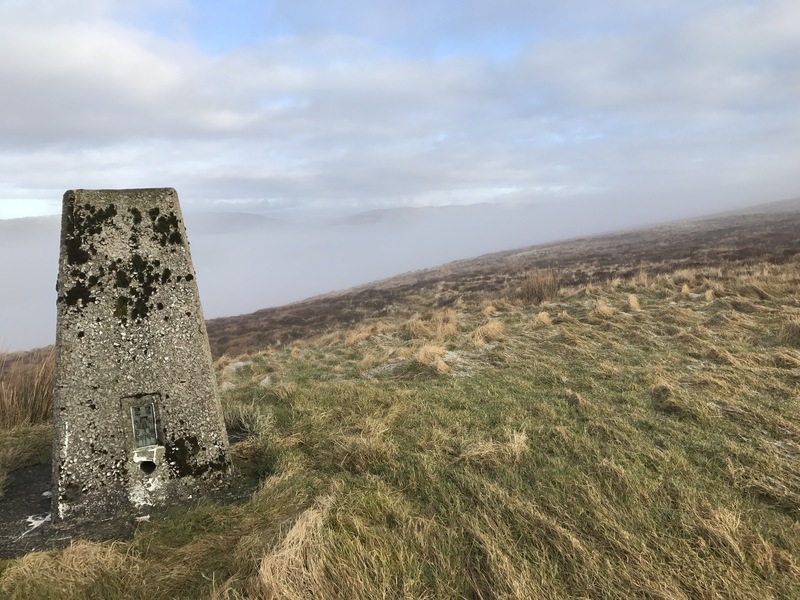 Trig points are another place worth visiting. Most giving great views,not quite sure on the exact amount of the ‘Pillar’ type there are in the area, but the figure must be close to 40,varying in build material and condition. 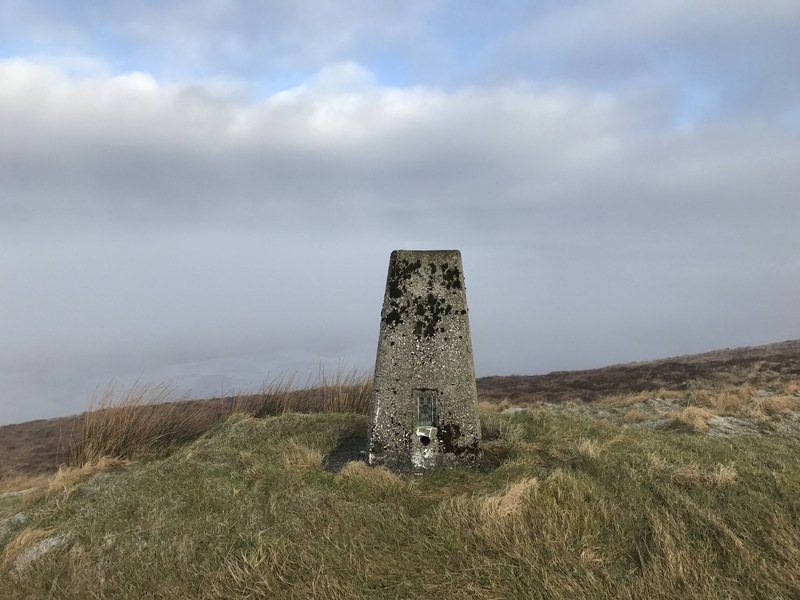 Trig Points vary in elevation, some easier to access than others but that adds to the challenge. 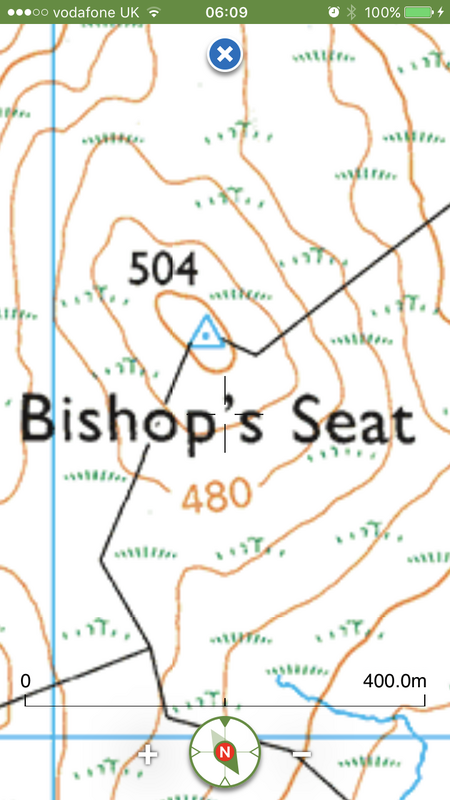 Indicated on OS maps by a small blue triangle with a central dot, they are everywhere! 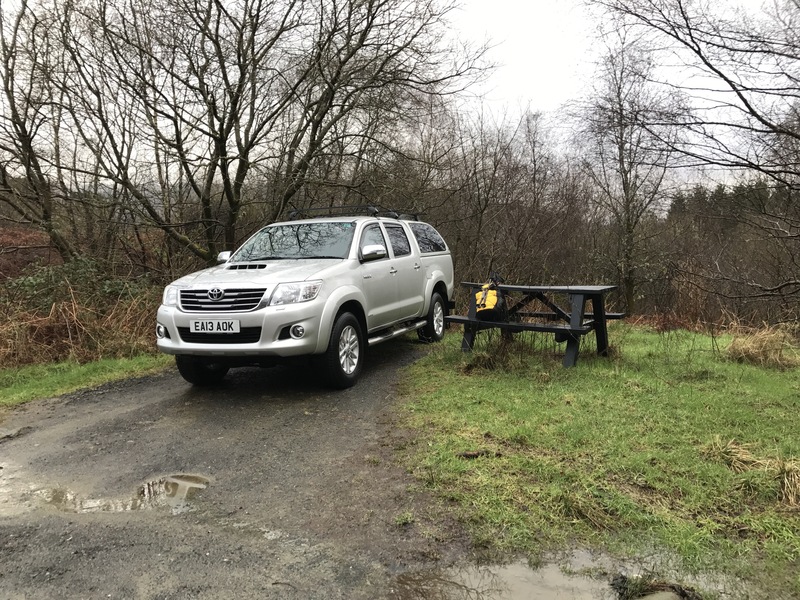 Having previously reported many Trigs on walkhighlands reports, I guess I’ll need to revisit the local ones to record in the blog format.